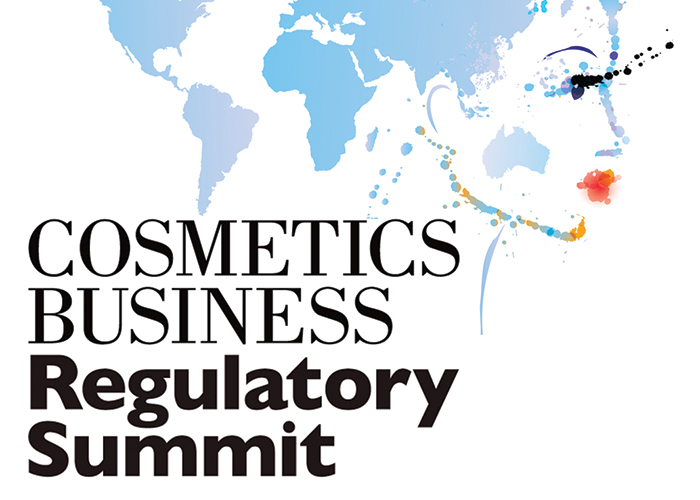 The inaugural Cosmetics Business Regulatory Summit addressed the implementation of current cosmetics regulations in the real world. 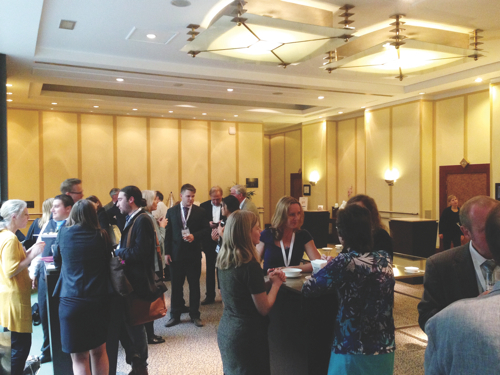 The Cosmetics Business Regulatory Summit 2014 brought together leading minds in the cosmetics and personal care industry from around the world, both as speakers and delegates, to air different stakeholder views and promote the development of cosmetic regulation. 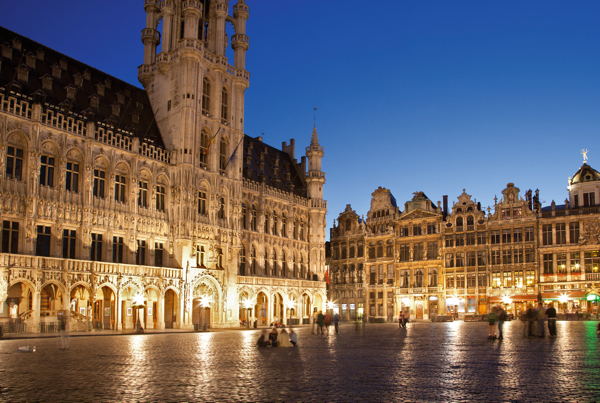 Global cosmetics regulation clarification, hot debates on the future of SPF and testing protocols, and impassioned stories of how to implement current regulation in the real world filled this year’s event in Brussels, which concluded on 18 June. With products increasingly made in one country and sold in another or online, it is clear that some form of global regulation is relevant. Professor Phillippe Masson, Chairman of the EVIC International Group, Manager of EVIC France Laboratories, and chairman of the CEN/TC 392 Committee, started the event by posing the question: “Can a standard become international?” His answer is that it is possible, but will require much work. Masson noted that cultural habits and expectations vary considerably, lending a product a distinctly social function. In addition, products cannot easily move from country to country, there is no free circulation of cosmetic products globally and there are no consistent regulatory policies in the cosmetics industry. Distribution is largely dependent on regional development and regulation, suggested Masson, and it is difficult to envision a global regulatory system when even the categorisation of a product as a cosmetic, drug or medicine varies between countries and regions. Roman Mokry from the European Commission (EC) then provided an overview of the Common Criteria related to on-pack claims under the EU Cosmetics Regulation which is based on six areas: legal compliance, truthfulness, evidential support, honesty, fairness and informed decision making. Mokry stated that product claims are essential marketing tools that help consumers choose a product, foster competition and promote innovation, and that adhering to the Common Criteria protects consumers against misleading practices and ensures fair competition. Companies can choose the claim language – as long as the claims are supported by evidence – and the choice of methodology for evidential support, as long as it follows established scientific practices. Steven L Hanft, President of CONUSBAT, provided a perspective on the challenges small and medium-sized enterprises (SMEs) face in order to be in compliance. Hanft noted that cosmetics development involves significant epidemiology and pathology research in order to prevent toxicity to customers. In ten years, the EU’s Regulation on Registration, Evaluation, Authorisation and Restriction of Chemicals, or REACH, tests 30,000 chemicals at a cost of several billion euros, and the EU produces half of all the chemicals in the world. A major cost of cosmetic product regulation is in safety assessment. He notes that according to EU guidelines, in order to be in compliance with REACH and the EU Cosmetics Regulation, companies need resources to cover the costs of registration as well as managing compliance and testing. SMEs have fewer than 250 employees, and therefore, said Hanft, have greater difficulty meeting these costs in comparison to larger firms. As a result, larger firms have much greater influence in this area. 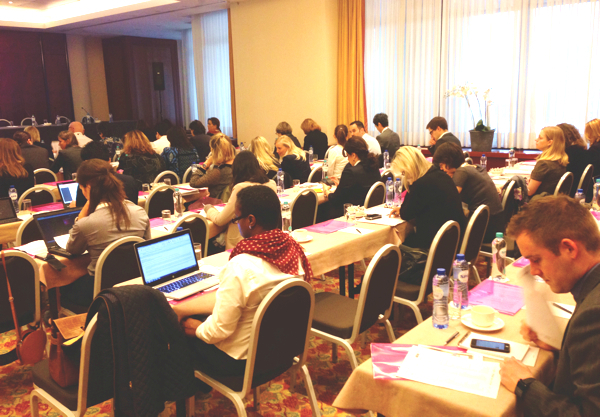 Florian Schellauf from Cosmetics Europe then provided a view of the future of the Cosmetics Regulation. The drivers for future change are based on technical and scientific progress, trends in EU consumer policy (for example, acting on common buzz phrases such as ‘sustainability’, ‘internet sales’, ‘consumer rights’ and ‘enhanced surveillance), adjacent legislations and a wish for international harmonisation. The impending first amendment to the EU Cosmetics Regulation could cover revision of the general safety directive, internet sales regulation, roles and responsibility clarification for Responsible Persons, adjustment of nanomaterial requirements, CPNP notification, improvement of the CMR exemption process and more. However, Schellauf stated that “global regulatory harmonisation is a utopia” and that compatibility is the correct approach to take. Sharon Blinkoff of law firm Edwards Wildman Palmer discussed regulatory anomalies in the fragmented US cosmetics market, including federal (FDA) and state laws that affect the cosmetics industry, and noted also that cosmetics have “gone from fine lines and wrinkles to recombinant DNA”, which means that regulation is necessarily complex. At US customs, certain cosmetics are screened, including hypoallergenic, organic, natural and anti-ageing products and bringing a product to the US market requires research on national laws as well as on regional differences, with some states, particularly California, having notable state laws on the industry. Debra Redbourn, dR Cosmetic Regulations UK, presented an overview of what is involved in releasing a product on a global scale, where specific regulatory issues apply. She noted that much enforcement happens at the port of entry. Levels of ingredients, labelling, claims, licences, packaging language and much more vary from country to country, which can mean onerous requirements, significant delays and financial outlay for the manufacturer of the cosmetic product. For example, in Australia a primary sunscreen of more than SPF15 is classified a drug, but a secondary one of SPF less than 15 is a cosmetic product. As a result, she noted, it is difficult to export and market products internationally. Export and import decisions must be made carefully, regional ingredient regulations assessed and licences applied for in advance. The roundtable debate focused on the statement: “Sun protection labelling should be taken out of the laboratory and into consumer reality.” Led by Dr Jack Ferguson, the panel consisting of Redbourn, Blinkoff and Dr Marc Pissavini from Coty-Lancaster Group discussed the possibility of changing the marketing direction and technical testing methods for producing sun protection products so that this sector was more relevant to the consumer. The panel took continuous questions and responses from the audience over the hour and a half debate coming to the conclusion that a sun protection product must, at the very least, start in the laboratory for its information as sold to the consumer, as this provides a baseline comparative system across the board. However, the sector and solutions are always imperfect as the consumer application will always be imperfect too. The panel advised better education of sun protection, which must start before the purchase of the product is made, noting that products should be manufactured to be more pleasurable and useable for the consumer. 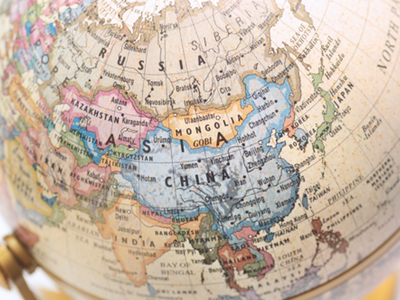 Ric Williams then took to the floor with a whirlwind tour of the regulatory differences and specific notifications in the Asia Pacific region including eight main markets: Australia, New Zealand, China, Japan, Korea, Taiwan, India and ASEAN countries. Apart from the differences in population and wealth, Williams highlighted how each of these eight regions has different regulations mainly caused by which government department administers the regulations; he stated in general that it would be fair to say that a product that is approved by one may not be approved by another. China, he noted, has recently instituted many changes on labelling and hygiene requirements, with new legislation listing approximately 8,000 new chemicals to be included and 6,382 that will not be included. Williams noted that Japan’s highly established regulatory system is also rigorous and it can take up to five years to get a simple cream to sale in the country. Finishing the first day of lively debate and in-depth information for cosmetics regulation around the world was Catherine Renard from Quatre S Cosmetics. Renard provided a practical viewpoint from an SME company. Her presentation provided an insight into the weight of the change from the Directive to Regulation for an SME and what the company learned from its experience in a talk that oozed incredulity. For an SME, the new regulation was very challenging, she remarked, because one unique regulation was enforced in 28 countries at the same time. She concluded that the regulation still provides an unclear definition for how to comply because of the many different types of companies in reality. 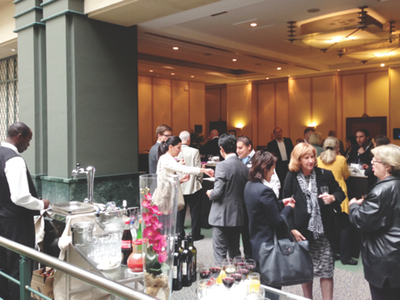 The summit then adjourned for a cocktail reception providing a more relaxed networking and debating environment to continue the day's hot topics. the Responsible Person is responsible for its safety and must be in the position to provide safety information to both, authorities and consumers. In a spirited presentation, Emily McIvor, Policy Director of the Human Society International’s Research and Toxicology Department, discussed different world views on animal testing, as well as the trade impacts of existing and future regulation. Several countries around the world have banned animal testing in the development of cosmetic products and the import of products developed through animal testing, including the EU and India. Despite widespread corporate resistance to eliminating animal testing, McIvor noted the strong scientific evidence showing that animal testing ensures neither safety nor efficacy; according to the FDA, 92% of all drugs that have passed animal testing fail in humans. Ellen Pfrommer from BASF gave her presentation on the key challenges for producing cosmetic ingredients and how the ingredient supplier can help the cosmetic company to become compliant in an regulatory-obsessed era in the C&T industry. This includes requirements regarding chemical law registrations and also data on ingredients needed in the Product Information File. The Responsible Care approach of Ingredient Suppliers goes beyond mere legal compliance and leads to activities such as the Global Product Strategy (GPS) summaries. Pfrommer continued from McIvor’s previous talk by showing how the commitment to animal welfare has resulted in an increase of available alternative test methods although there is still a long way to go until replacement methods are available for all relevant toxicological endpoints. Claudia de Lucca Mano, a lawyer based in São Paulo Brazil, took to the stage with Latin American flair to clear the air of uncertainty that tends to surround the launch of products into an emerging global market – in this case, the burgeoning Brazilian market. de Lucca Mano’s overview highlighted existing regulatory frameworks for cosmetics products and ingredients covering: company licensing, concepts and basic guidelines for cosmetics. She also looked at cosmetic product classification in the Brazilian market for the regulations that come into play in this region in terms of the degree of risk and clearance procedure within ANVISA including the necessary notification or registration, ingredients listings (Mercosur), labelling, new sunscreen regulation (Mercosur) and advertising. Annelie Struessmann concluded the morning’s proceedings with her talk focusing on the regulatory environment for cosmetics in the Eurozone detailing the various regulatory frameworks and branches applicable to the products. Struessmann, who dubbed her talk ‘What I have to do to sell my product’, summarised the stages of product development to be aware of when considering entry, as well as potential barriers and a few success stories. She showed, for the various stages of product development, when a defined regulatory framework has to be considered and its provisions implemented into the developmental process. Struessmann noted that the EU continuously amends existing regulation and that “regulation does not end with putting a product on the market”. The second roundtable debate of the summit discussed the statement: “Testing protocols should favour multinationals rather than balancing the marketability of products across the board.” The session was chaired by Jeffrey A Quill, Director of Technical Applications, Q-Lab Corporation USA, with panellists including Ferguson, Williams and Pfrommer. The general belief of the panellists was that testing protocols didn’t favour multinationals across the board because the availability of all tests, especially initial safety tests, is quite level across the field. However, it was brought to light that in providing an extended range of products with different fragrances or a slight change in formula, where a specific testing protocol would be needed for each sku, this would be an area where multinationals would have an edge in resources to put towards further testing. Alan Ritchie from Caleb Management Services took to the stage with a concluding take-home mantra that “managing the media can be harder than adhering to regulatory due diligence”. His talk covered general safety issues experienced through the EU Cosmetics Regulation discussing toxicity in cosmetic ingredients products, notably the chemicals listed on Annex II and Annex III. He then moved onto the impact of the REACH initiative, highlighting that new data developed for REACH could raise safety concerns for use in cosmetics. He briefly mentioned the animal testing argument before drawing to a climax on how the media handle substances that come under a cloud and whether this is based on accurate science or a desire to sell papers. 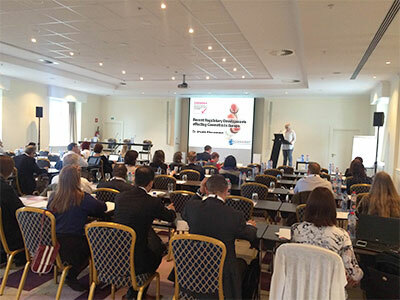 The final presentation at the Cosmetics Business Regulatory Summit 2014 was delivered by Sandra Ferretti, the Chief Compliance Officer at Obelis. 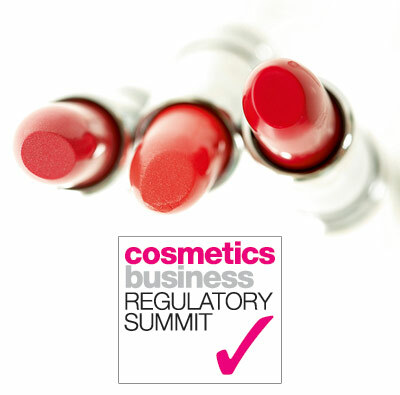 A year on from the implementation of the EU Cosmetics Regulation, Ferretti provided an insight into the questions, problems and solutions that have arisen over the year in regards to: Responsible Person, safety assessor, documentation availability, CPNP, GMP, animal testing, serious undesirable effects and online sales regulations. Ferretti concluded that the Regulation needs clearer rules to some extent and an increased awareness on safety among compliance operators and users of cosmetics. Additionally, many requirements need harmonisation, standardisation and guidance on practical implementation to better the current guidelines and obligations. 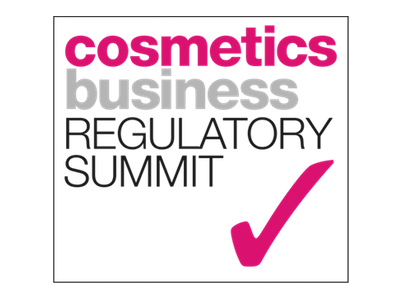 Details of the next conference from Cosmetics Business can be found here. For more information, or to be added to the mailing list, contact chrism@hpcimedia.com. Sponsored by AMA Laboratories Inc.